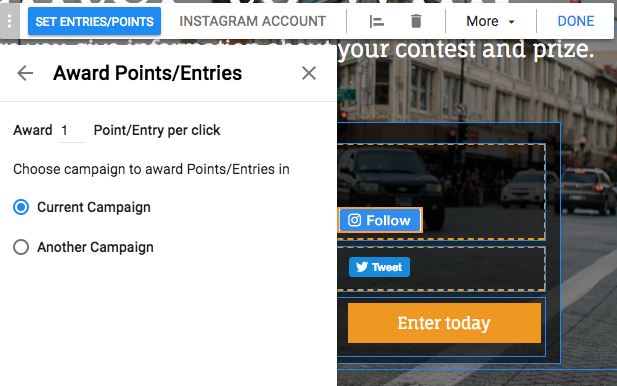 You can now add bonus actions to your campaign so additional entries/points can be awarded to entries. 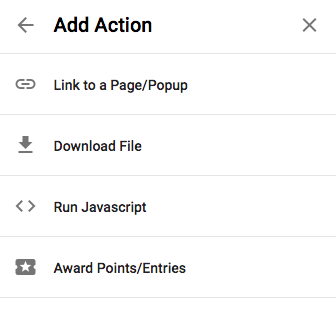 To add these to your campaign in the editor click on 'Bonus Actions' and drag the action to the entry form. Adding an instagram Follow, Pinterest Follow, Youtube Subscribe and Twitter Follow have a similar process. 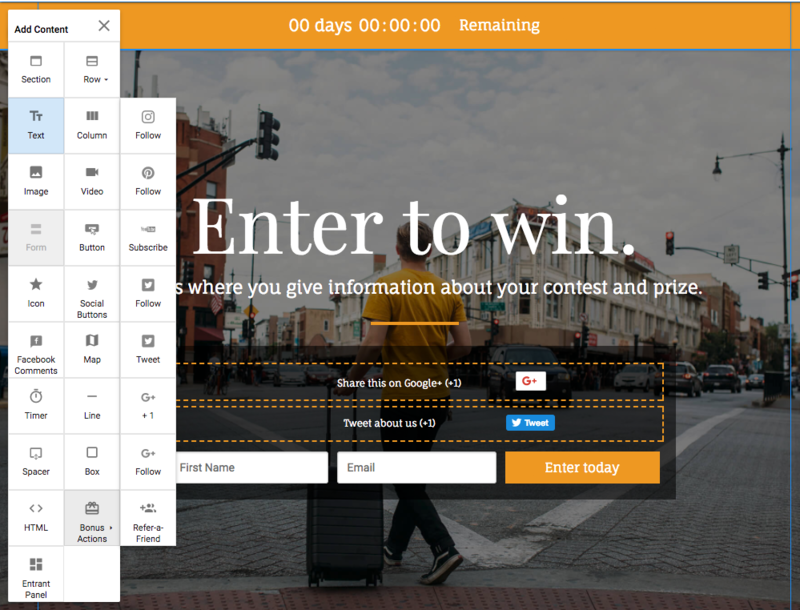 Set the number of Entries/Points for the action, along with any additional actions you want for the button including connecting it to another page/popup. The last bonus action is 'Refer-a-Friend', this adds a unique referral link to the entry form. When users share this unique link it will increase their point/entries in the campaign.